The Sycamore family seems mad, but if they are, perhaps the rest of the world is madder! The plot shows how Tony, attractive young son of the Kirbys, falls in love with Alice Sycamore and brings his parents to dine at the Sycamores’ on the wrong evening. The unhappy Kirbys must either join in the fun or maintain their stuffy censure. Meanwhile, strange activities occur throughout the household, involving the manufacturing of fireworks, a printing press in the parlour, the keeping of snakes, xylophone playing, candy-making, ballet, and interviews with the tax collector. 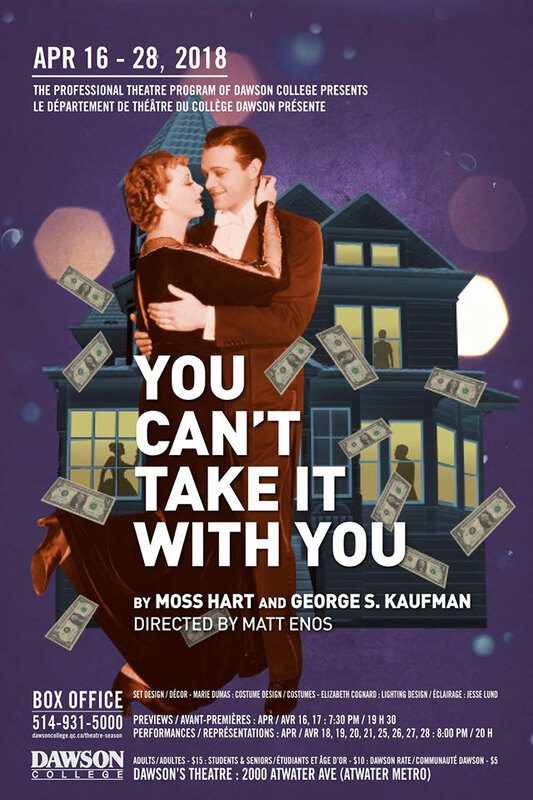 Love abounds in this very large dwelling in Manhattan during the Great Depression, and numerous eccentric characters contribute to the crazy chaos: an intoxicated actress, a deposed Russian aristocrat, a former ice-man. This delightfully life-affirming comedy has been, deservedly, one of the most popular theatrical works of the last hundred years.